I'm recycling a popular post from last year: My Naughty and Nice letters from the jolly man himself. These are especially great if you don't have an Elf On the Shelf to keep your little ones in line this season. 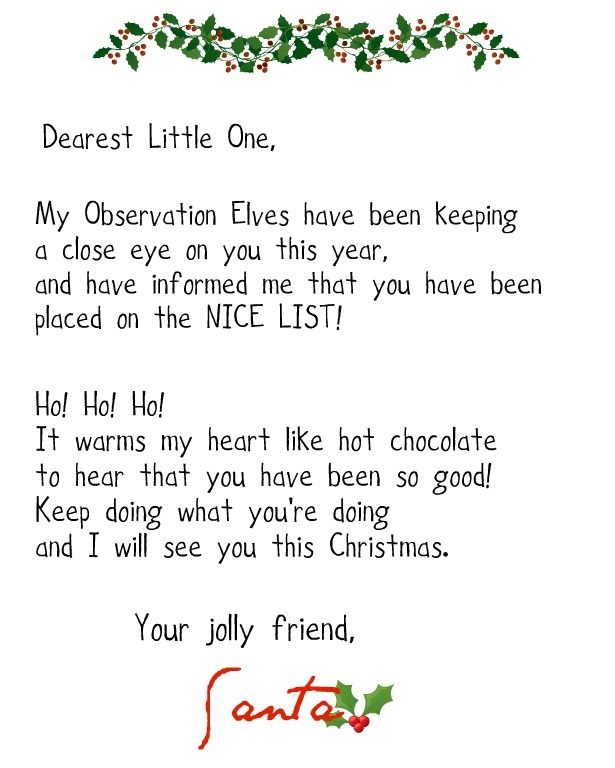 Feel free to print, share and Pin! 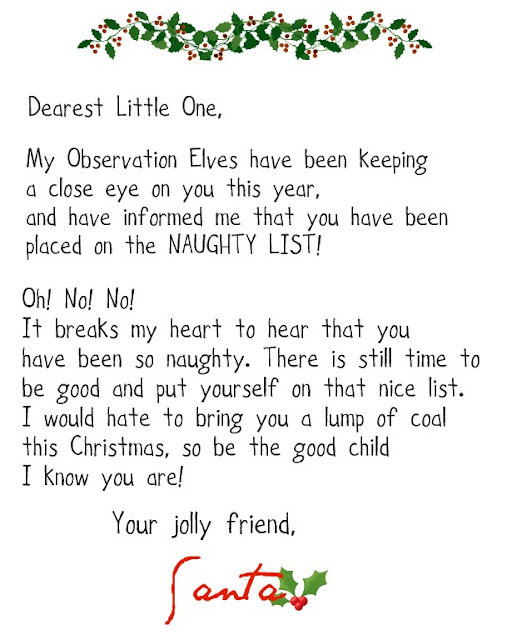 Click HERE to download the Naughty List letter. I would like to extend a special thank you to Jolly Saint Nick for his help this year, and I would also like to remind him that I have been good and can always use more yarn and glitter. Nevertheless, previously the procedure and also the locks are actually pricey and intensely might have given brazilian hair sale. Within individuals occasions the actual celebs utilized this process with regard to numerous hairstyle as well as wealthy individuals was able to purchase brazilian hair. These days, points possess transformed and something must purchase this kind of locks for those their own requirements. They are these days greatly inexpensive as well as it's not necessary to fret concerning the spending budget.